Want to make a full day out of your rafting experience? We offer combination trips for a full day on the Upper Ocoee and Middle Ocoee River back to back. After rafting the Upper Ocoee rafting section, we will rest on the banks of the river and have a yummy lunch and dry out a little. Rafting the Ocoee River with Raft One is a no brainer. The Upper Ocoee rafting, site of the 1996 Olympics, is a great ride for big water and large drop pool rafting. 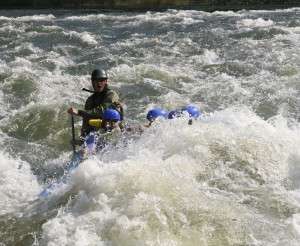 There is a half mile of straight class four and five rapids that your guide will successfully navigate with you. Most of your five mile trip on the Upper Ocoee River is through the secluded wilderness in the Ocoee River area. The Middle Ocoee rafting is the fast paced heart pounding section that gets you soaked to the bone. With rapids from class one to four, the Middle Ocoee is surely what the doctor ordered for that case of dehydration and boredom. Splashing down rapids like Grumpy’s Ledges, Broken Nose, and Table Saw, you’ll max out your fun meter. The Ocoee River has 2 white water rafting sections. This creates the possibility of 3 types of rafting trips: 1 – Middle Ocoee river trip (the original whitewater section), 2 – Upper Ocoee river trip (include the 1996 olympic white water course) and 3- the Full Ocoee River trip which is a combination of both sections with a lunch break in between. Snow White and the Seven Dwarfs – The put in rapid for the middle Ocoee. The Middle Ocoee rafting is the fast paced heart pounding section that gets you soaked to the bone. With rapids from class one to four, the Middle Ocoee is surely what the doctor ordered for that case of dehydration and boredom. Splashing down rapids like Grumpy’s Ledges, Broken Nose, and Table Saw, you’ll max out your fun meter. 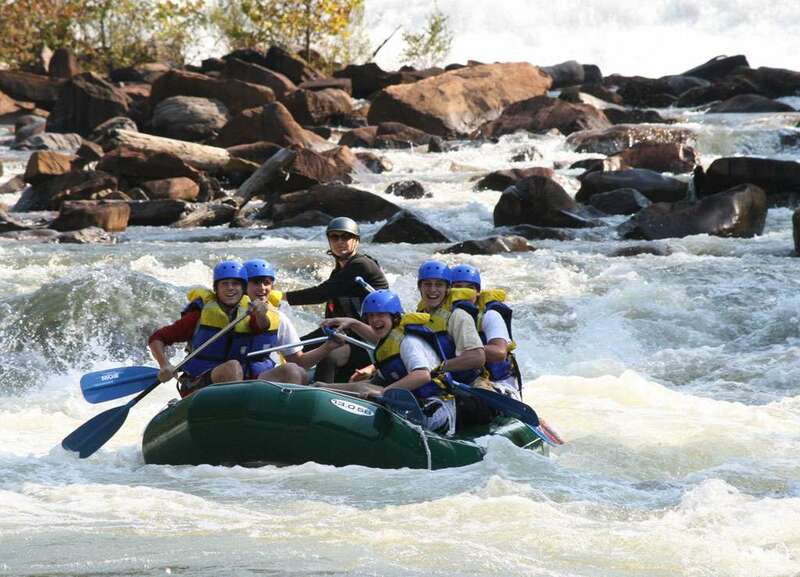 This section is the most popular among all Ocoee River whitewater rafting companies. Learn more about our Middle Ocoee Rafting Trips. The Upper Ocoee rafting, site of the 1996 Olympics, is a great ride for big water and large drop pool rafting. There is a half mile of straight class four and five rapids that your guide will successfully navigate with you. Most of your five mile trip on the Upper Ocoee River is through the secluded wilderness in the Ocoee River area. Upper Ocoee rafting is most notable for the rapids Godzilla, Humongous, Mikey’s Ledge, Roach Motel, and Edge of the World just to name a few. Learn more about our Upper Ocoee Rafting Trips. Want to make a full day out of your rafting experience? We offer combination trips for a full day on the Upper Ocoee and Middle Ocoee River back to back. After rafting the Upper Ocoee rafting section, we will rest on the banks of the river and have a yummy lunch and dry out a little. Rafting the Ocoee River with Raft One is a no brainer. Try us once and you will see why our groups keep coming back. 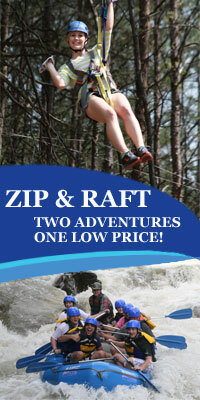 Ocoee rafting is best with Raft One and we’ll prove it to you. Our customers tell us that we give the most personal and longest trips on the river! We just tell you to give us a chance to show you a good time! Learn more about our Full Ocoee River whitewater rafting trips. Meet the rapids on our Ocoee River guided rafting trips. We’ll introduce you. But be warned – you will get wet! The Ocoee River was named in native Cherokee for the purple passionflower. Like its namesake, it’s a fast flowing vine of the Hiwassee. So fast that it gained international fame for hosting the 1996 Olympic canoeing slalom competitions. It boasts one of the most enjoyable whitewater runs in the United States, with 250,000 visitors a year and several miles of constant class III and IV rapids. Dusty Rogers guiding a raft through Hell’s Hole on the Ocoee River. You don’t just float through the middle Ocoee. The class three and four rapids in the Ocoee are tough to get over, or around, and once you’re inside one they can quickly take control if you aren’t paddling. But don’t worry, the powerful currents and surf are no match for our expert guides who steer your raft around tight ledges and hydraulics to help you out-paddle the big waves. Plus the water isn’t too rough… It’s just enough! All commercial rafts on the Ocoee River are guided by professionals, seasoned river guides who know the twists and rapids not just by sight and name, but by experience. They’ve rafted down the river a billion times at least if not, maybe ten billion, and proudly call the Ocoee River their backyard. The State of Tennessee requires all guides to be certified in CPR and First Aid. Not only are all of our Raft One guides certified, they’re additionally trained in Advanced Swiftwater Rescue, under the guidelines established by the American Canoe Association. When riding the Ocoee, the only thing that will be keeping us on track is the paddle in your hands. You’re part of a crew – some of whom you’ll know, and some you may not – but from the moment you hit the water, you’re a team responsible for navigating the rocks and swirling surf. Your guide will steer the raft at the rear while you sit in front and paddle with all you’ve got. Even if you’ve never rafted before, your weatherworn guide will help with and tell you what to do. That might be to paddle really hard forward or backward. All of that teamwork and eagle-eyed guidance will get even the first-timer over the roughest rapids in one piece. Your craft is made of an extremely tough fabric created with PVC plastic. It’s air is held inside an inner chamber, so even a puncture of the outer shell won’t deflate the raft. Additionally the raft is divided into 9 separate air compartments. If one of them deflates, the remaining air inside the raft stays put. Your raft is even self-bailing, which means when the Ocoee’s waves fill it up after a rapid, we don’t have to bail out the water. That’s important, because rapids like Grumpy won’t give you time to think about anything but holding on and paddling hard! Your raft can hold up to 7 paddlers, plus your guide. Depending on the number of people on a particular trip, each raft may contain as few as two people. It means more work – but you’ll be guaranteed an exhilarating experience. We divide groups that are larger than 7 between two rafts. Groups of 4 people or less are usually paired with other small groups to make 6 or 7 person crews. Known as the Ocoee River in Tennessee, and the Toccoa River in Georgia, it stretches for 93 miles, beginning at the Ocoee Lake, and ending in the Blue Ridge Lake with three dams in between. These dams control the levels of water in the Ocoee River and typically release 1250 cubic feet per second during the summer. The State of TN requires that no commercial crafts launch at 4000 cfs or above. The Ocoee is a class III river with 30 named rapids. Three of these are actually class IV rapids, making a run down the Ocoee the most intense experience that a beginning rafter can comfortably try. Want a brochure to share with friends? Everyone who rafts with Raft One must sign a liability waiver before they can go rafting on the Ocoee River. Anyone under 18 years old must also have a parent or guardian sign the waiver. If you are bringing a group to raft on the Ocoee River we recommend you download the waiver, make copies and have everyone who is rafting in your group sign one. Having your waivers signed ahead of time greatly expedites your check in especially if you have a large group. The waivers are also available to sign at the Raft One Outpost. If you decide to wait until you arrive at the Outpost to sign waivers please be sure the parent or guardian of anyone under 18 is present to sign as well. 1. Download the Raft One Liability Waiver Adobe PDF to your computer. Using Adobe Acrobat print out as many waivers as you need. 3. 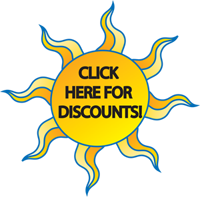 Bring all signed waivers with you to be turned in prior to your trip.